Up until the second half of the 20th century, the Innu lived as nomadic hunters, travelling in small groups on snow-shoes during winter and canoeing to the coast of a large inland lake to fish and trade during summer. The Duke and Duchess of Cambridge have visited Yellowknife in Canada’s Northwest Territories. According to reports, they were met by Inuit and Chipewyan drummers and dancers, and subsequently visited a teepee at Blatchford Lodge. While they have been touring Canada, another people indigenous to the country, the Innu of Labrador, have voted to ratify the ‘New Dawn’ (‘Tshash Petapen’) agreement, a land claim that has been in negotiation with the provincial and federal governments for more than 20 years. 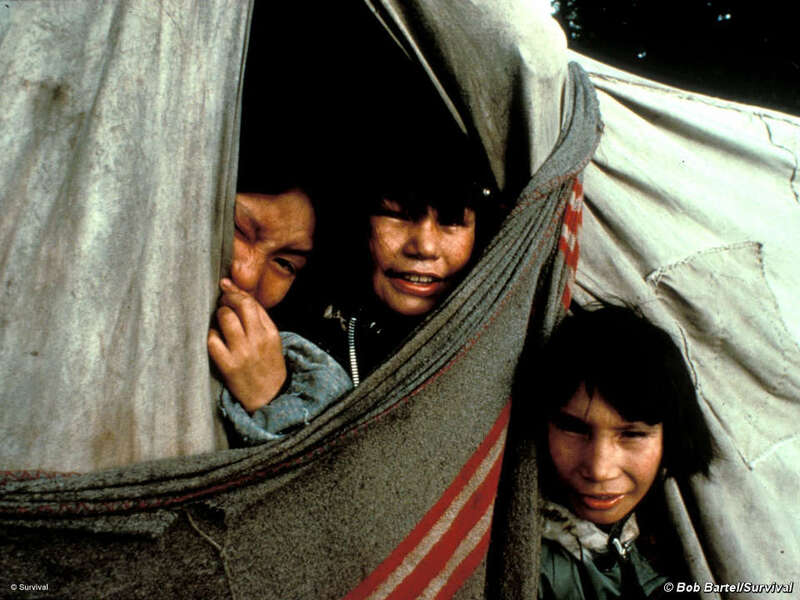 The Innu are the northernmost Algonquin-speaking peoples of North America. They have occupied a vast area of sub-arctic forests, rivers and tundra on the Labrador/Quebec peninsula for approximately 7,500 years, which they call Nitassinan. During the 1950s and 1960s, however, their ways of life were systematically dismantled by the Canadian government and the Catholic church. Their land was confiscated, their spiritual beliefs denounced as ’devil’s work’, their people pressurized into settling in overcrowded shacks. The hunting of caribou – integral to the Innu’s way of life – was criminalized. 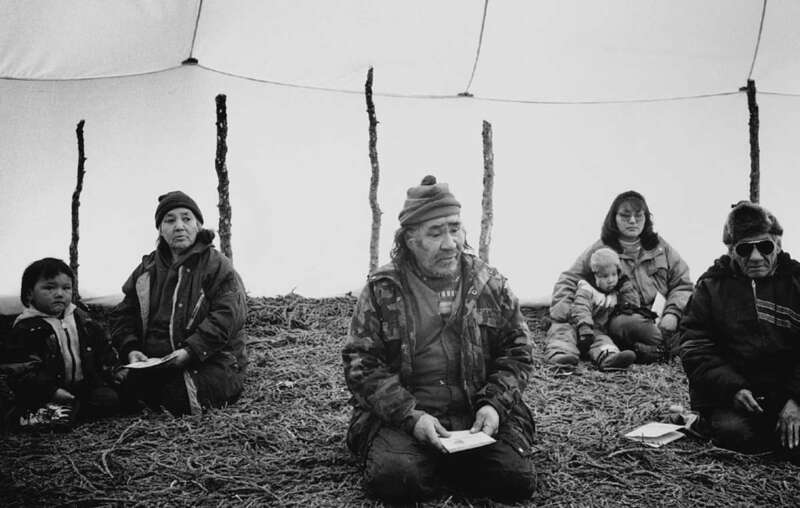 ’In short, the Government enforced many processes that attempted to alter the Innu and diminish the many sources of their uniqueness as a people’ says Colin Samson, a sociologist who has worked with the Innu for years. 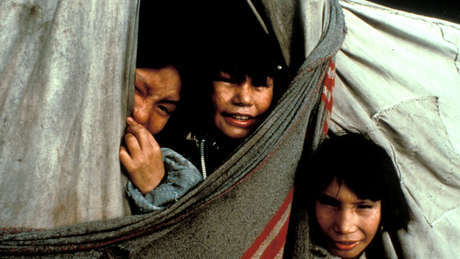 The transition was traumatic and entirely destabilizing for the Innu. 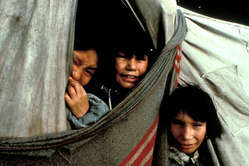 Life in the settled communities became marked by extremely high levels of alcoholism, petrol-sniffing among children, violence, and record levels of suicides, while in April 1999, the UN Human Rights Committee described their situation as ‘the most pressing issue facing Canadians’.